Leo enlisted on 6th September 1914. He was 29 years old, and was a Clerk by trade. He embarked at Southampton on 18th May 1915 with the 42nd Field Ambulance, then disembarking in Havre the next day he entered the war in France on 19th May 1915. On 4th June 1915 he was admitted into his unit suffering an injury to his foot, but was discharged back to his unit for duty the following day. On 26th August 1916 he was wounded in action, suffering a 'GSW' to his right hand. He was evacuated to No 45 Casualty Clearing Station, then by ambulance train to No 10 General Hospital in Rouen, arriving on the 28th. On 31st August 1916 he was admitted onto the hospital ship 'St Patrick' and evacuated back to England. On 6th November 1916 he embarked again at Southampton and returned to the British Expeditionary Force on the Western Front. 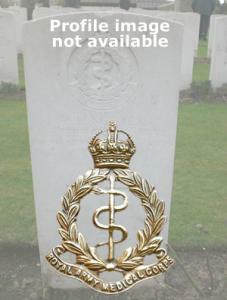 He was posted to serve with the 141st Field Ambulance on the 14th November, joining them in the field. On 13th August 1919 he was promoted to acting Lance Corporal with pay. He returned to the UK on 27th February 1920, then was discharged to Army Reserve, Class Z on 28th February 1920.